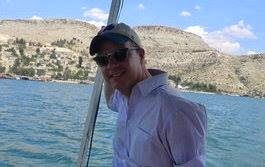 I woke up this morning at the Borderlands Lodge to be greeted by the news that the Turkish Air Force had shot down a Russian fighter jet near the Turkish-Syrian border. Bad times. Very bad times. 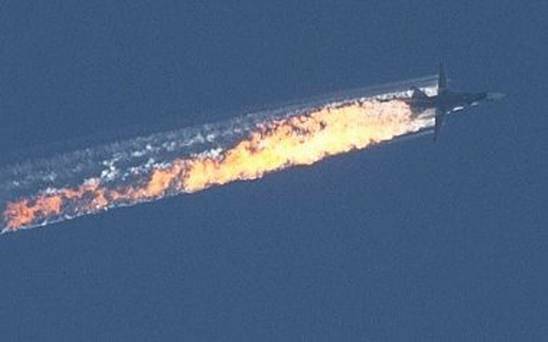 According to reports, at least one of the Russian pilots is dead, while the other is still unaccounted for. Some Turkish sites, meanwhile, have been reporting that both of the Russian pilots were killed by Turkmen Syrians as they descended in their parachutes. Turkmen are ethnically related to Turks and live in isolated communities in northern Iraq and Syria. In recent days, the governments of Turkey and Russia had become increasingly critical of one another over Turkey's accusations that Russian fighters had been bombing Turkmen villages in northern Syria, a charge that Moscow had denied. Indeed, just yesterday it was reported that Turkey would be seeking a UN Security Council meeting relating to the fate of Turkmen in Syria. The video below allegedly shows people from the ground shooting at two parachutes as they come down. One person keeps shouting (in Turkish or Turkmen) "Atma, atma, esir!" ("Don't shoot, don't shoot, it's a prisoner"). Nobody seems to have listened to him. All of this, of course, is really terrible news, but I can't say that it's very surprising. Turkey and Russia have been sniping at one another over Syria for some time, and last week's exchanges regarding the Turkmen were particularly pointed and bitter. And just over a month ago, Turkey had shot down a drone on the border that US officials believed was of Russian origin. Russian President Vladimir Putin called the downing of the Russian plane a "stab in the back that will have serious consequences for Russia's relationship with Turkey." And Turkey's ambassador to the United States, Serdar Kilic, was equally aggressive in his comments, tweeting: "Understand this: Turkey is a country whose warnings should be taken seriously and listened to. Don't test Turkey's patience. Try to win its friendship." Putin has also apparently called Turkey, and by extension Turkey's NATO allies, "accomplices of terrorists." But more importantly, today's confrontation underscores the broader set of risks involved in allowing the Syrian conflict to continue to fester. All Summer long we watched as the refugee crisis--which is related largely, though not entirely, to the Syria war--developed into an issue that threatens to tear the European Union apart. And now the sheer number of foreign actors involved in the multi-sided Syrian war has led to an actual military confrontation between a NATO member and Russia. "Zero problems" seems like a million years ago. 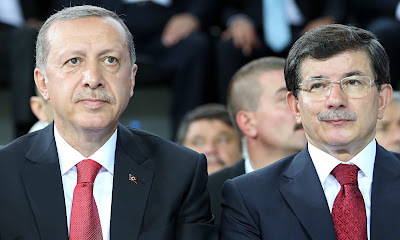 That was the catch-phrase of Prime Minister Ahmet Davutoğlu in the first decade of this century, back when he was still Foreign Minister and Turkish President Tayyip Erdoğan was Prime Minister. The idea was for Turkey to normalize relations with its neighbors, including countries like Armenia and Syria, with whom Turkish relations had not been good. And, for a while, it seemed like certain regional problems--and Turkish-Armenian relations in particular--might improve. But "zero problems" has foundered on the wreckage of the Syrian war, despite Davutoğlu's claims, just a couple of years ago, that his policy was "alive and well." It's not. "Zero problems" is dead and burnt to pieces. Turkey has, in fact, some very big problems right now with its neighbors. Turkish President Tayyip Erdoğan's determination to overthrow Syrian President Bashar al-Assad trumps other concerns. Erdoğan has put so much work to achieving this goal that it seems very unlikely that he'll back down from it, no matter what the cost. And why should he? He has the backing of the US president, who is similarly determined to remove Assad from power. And now? The one thing that the leaders of Russia, the US, Turkey, Saudi Arabia and Iran seem to have in common is that they seem more interested in "winning" Syria than in bringing an end to the war. And for as long as this war goes on, I fear that it's only going to get uglier. 160 libraries can't be wrong! 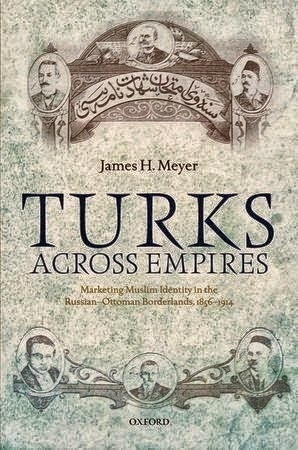 Get yours to order a copy of Turks Across Empires--now only $35. More links, commentary and photographs available, as usual, at the Borderlands Lounge.